It’s her world and we’re just living in it! 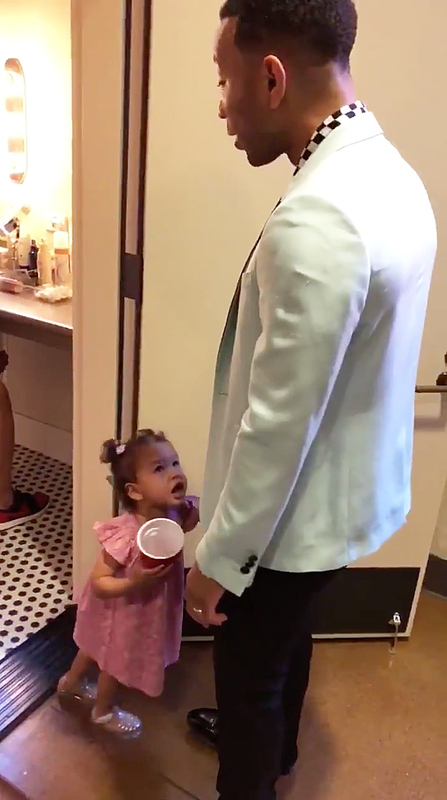 Luna Legend adorably protested against hearing her famous dad, John Legend, sing — and she certainly didn’t hold back! One Twitter follower commented, “She got it from her mama” with crying face emojis, referencing a previous post that Teigen had tweeted in June 2017. “I know he has a beautiful voice and I know I am ‘soooooo lucky’ and blah blah but john’s vocal warmups make me want to stab my brain,” she wrote at the time. 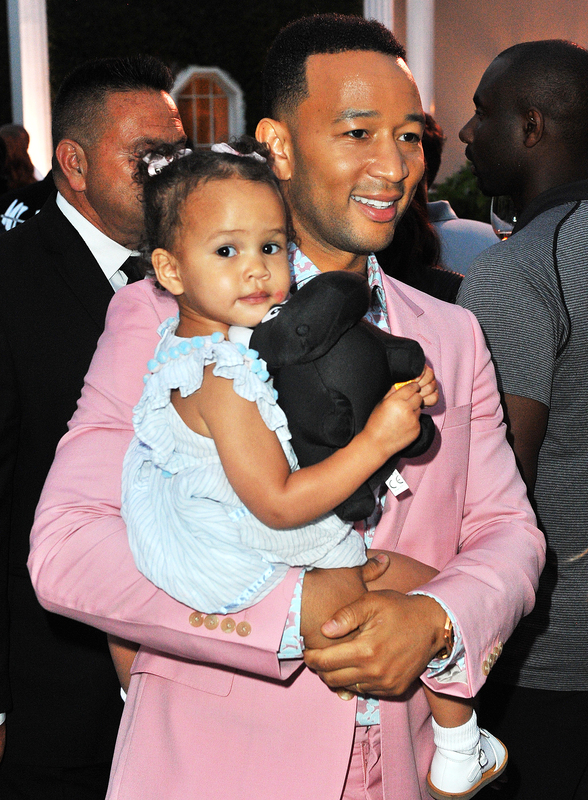 Just days earlier, Teigen shared an adorable moment of Luna on top of Legend’s shoulders as he tried to burp their 7-week-old son, Miles. Looking unfazed, Luna giggled as her father struggled to balance her before she poked his eyes.